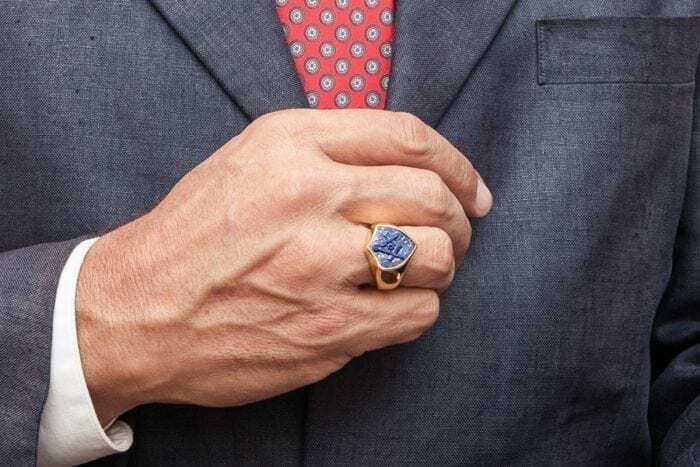 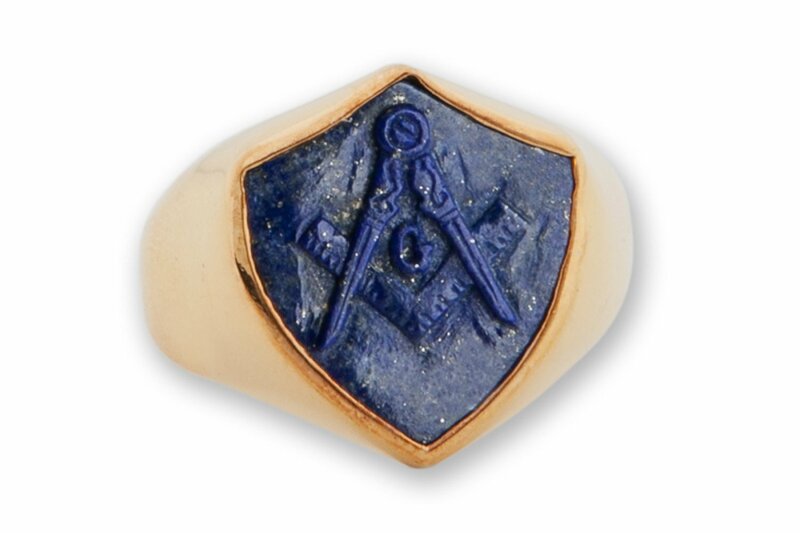 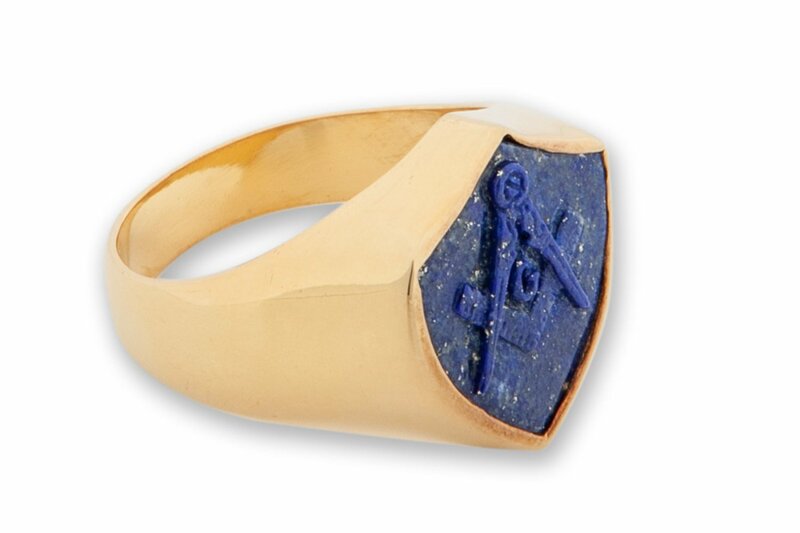 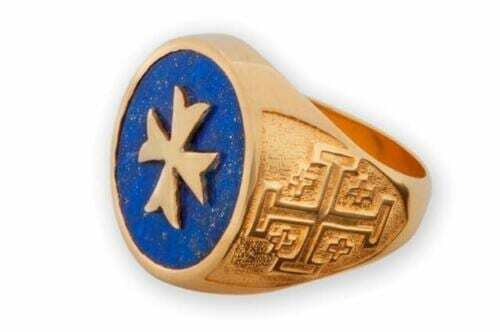 Lapis lazuli ring shield shape has been skillfully sculpted image of Masonic set square and compass gold plated (5 Microns 18K Gold) sterling silver with smooth shoulder. 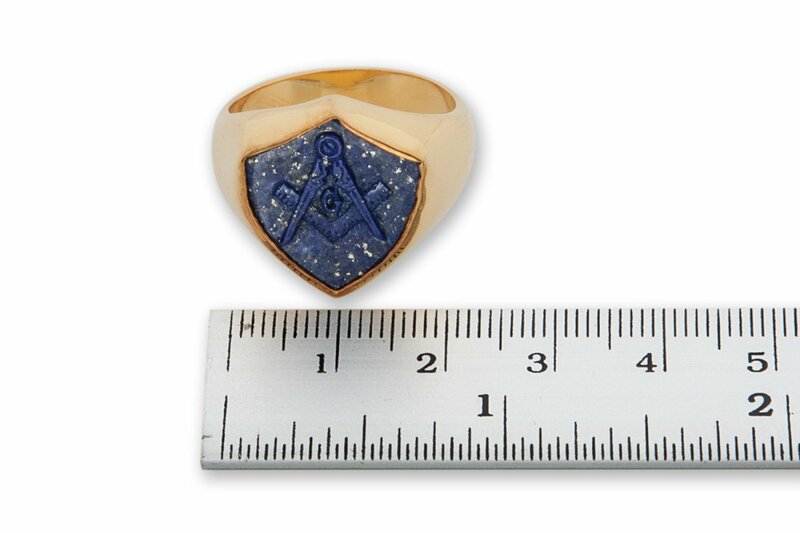 Shield shape size : 18 x 16 mm (11/16 x 5/8 inch). 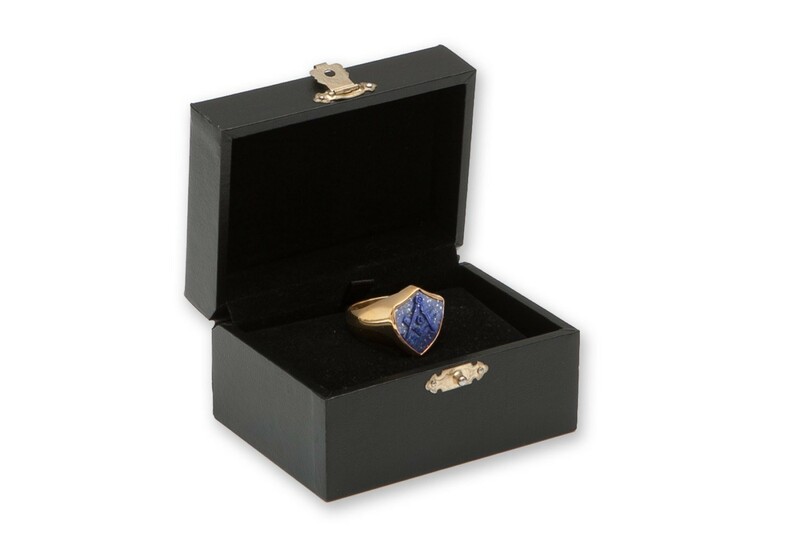 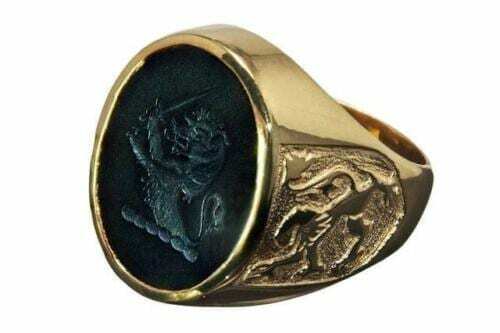 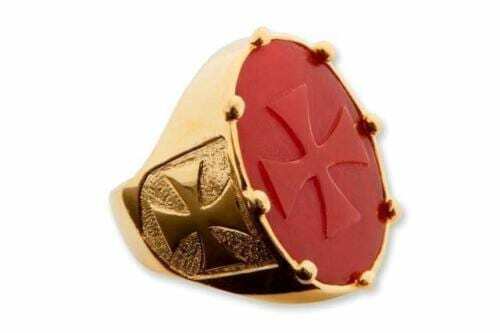 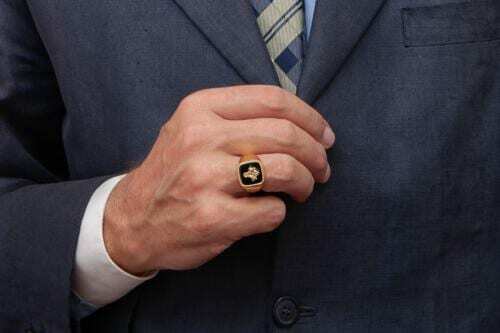 This fine hand-crafted medium sized heraldic ring will be a stylish and treasured addition to your wardrobe.